©2005 Sunbeam Products, Inc. All rights reserved. 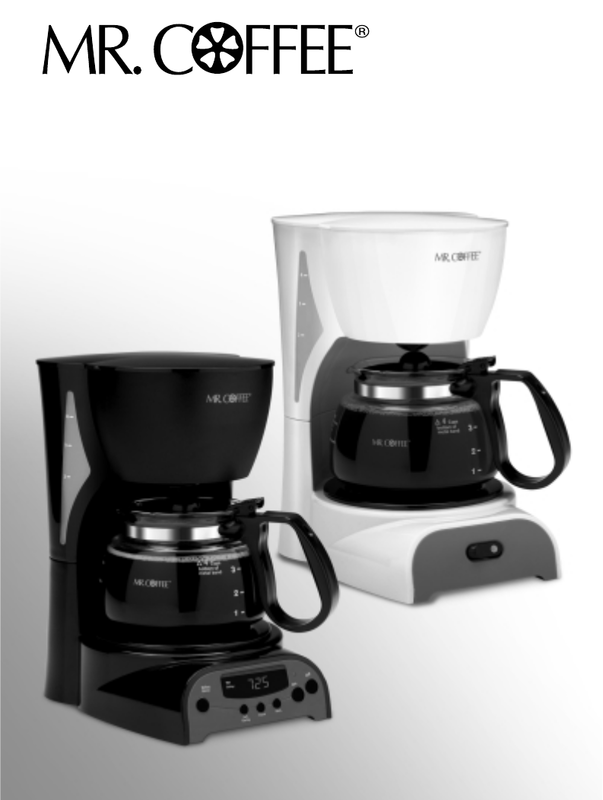 Mr. Coffee® is a registered trademark of Sunbeam Products, Inc. Distributed by Sunbeam Products, Inc., Boca Raton, Florida 33431. ©2005 Sunbeam Products, Inc. Todos los derechos reservados. Mr. Coffee® es una marca registrada es una marca de Sunbeam Products, Inc.
Distribuido por Sunbeam Products, Inc., Boca Ratón, Florida 33431.